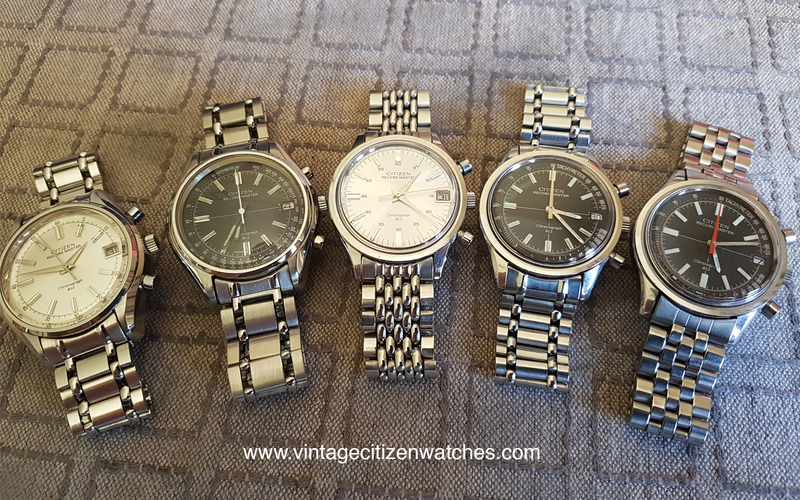 Looking back at 1970 I see a world that started focusing it’s attention on automatic chronographs while at almost the same time, the quartz revolution is about to play it’s role, somehow stopping, or at least slowing down, the mechanical movement development. 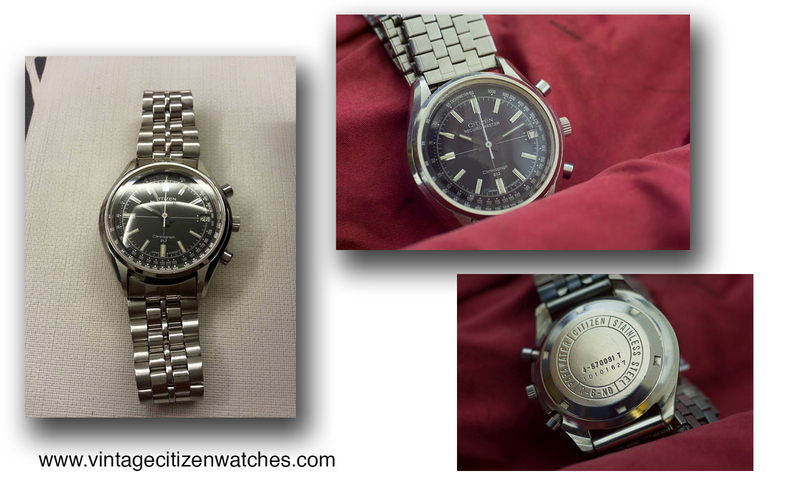 This Citizen model was introduced in 1967 and was produced for only 5 years. 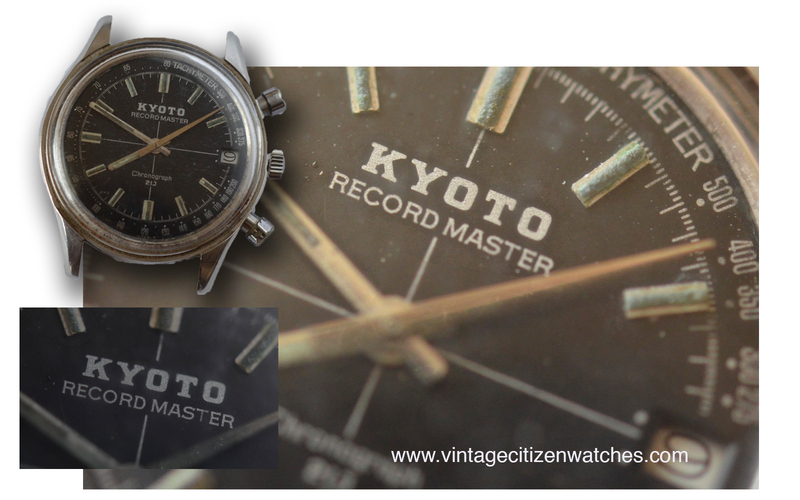 The Recordmaster is a beautiful piece, a real column wheel flyback chronograph, with a hand winding movement. It counts only up to one minute elapsed time but in such a memorable way! 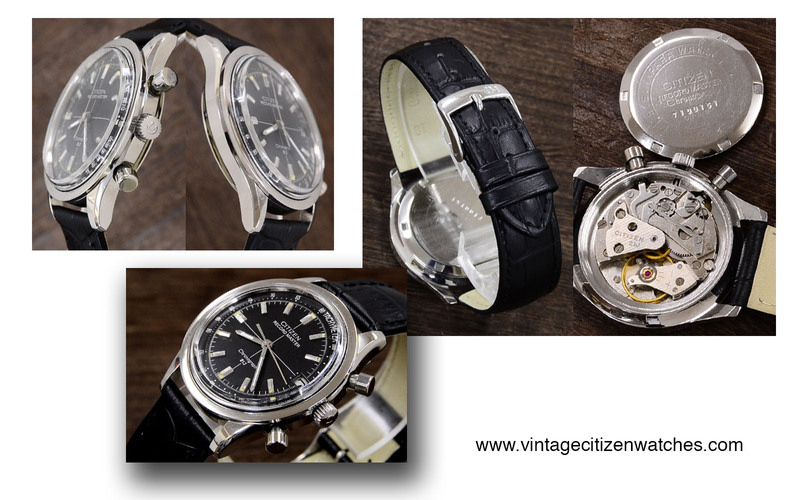 The case is classic, made in stainless steel, 36 mm wide. It has an elegant case, entirely polished. The winding crown is signed “CTZ” and the pushers are polished too. There is a nicely chamfer edge that add further beauty to the overall design, very elegant and yet a real sport chronograph. 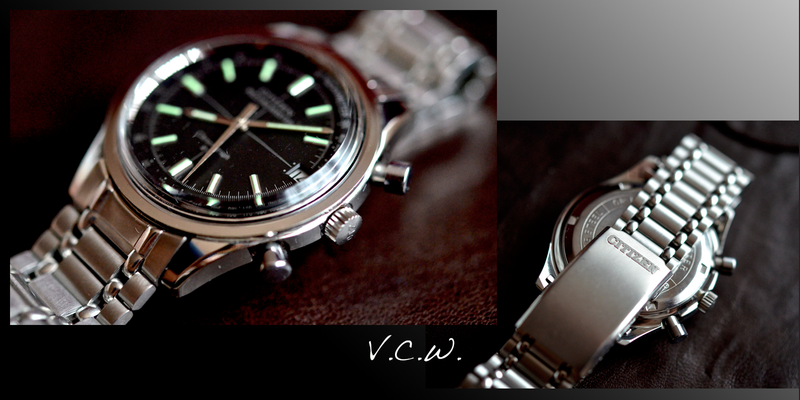 The caseback is polished with the usual markings (parawater as it was made prior to ’73). The acrylic crystal sits above the case and has a flat surface. I love the way it bend the light at the edges! 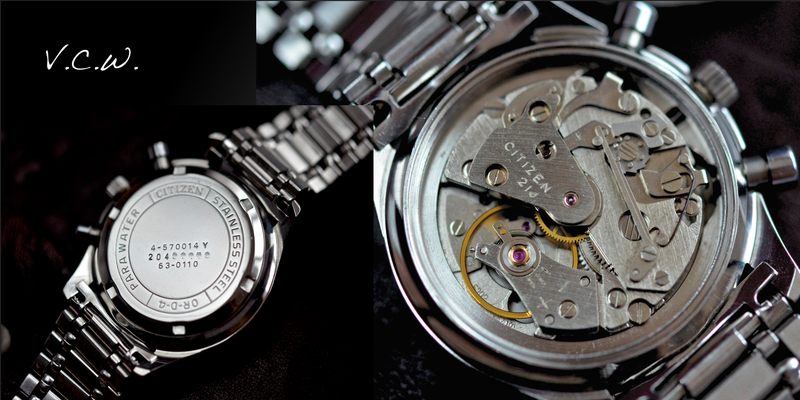 The movement is Citizen calibre 5702 with 21 jewels. It beats at a slow rate, half the speed of the fastest Citizen Leopard movements, at 18,000bph. 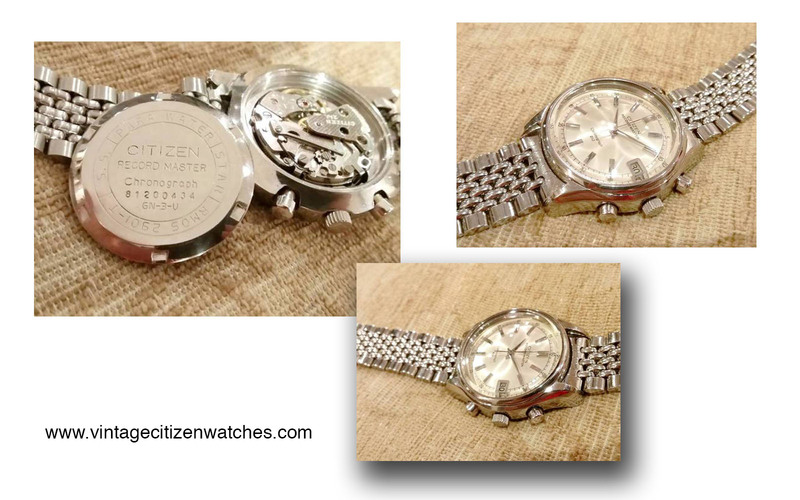 It is the first chronograph and the only hand winding chronograph movement that Citizen produced. There is also an automatic one with a two variations: 8100A and 8110A. 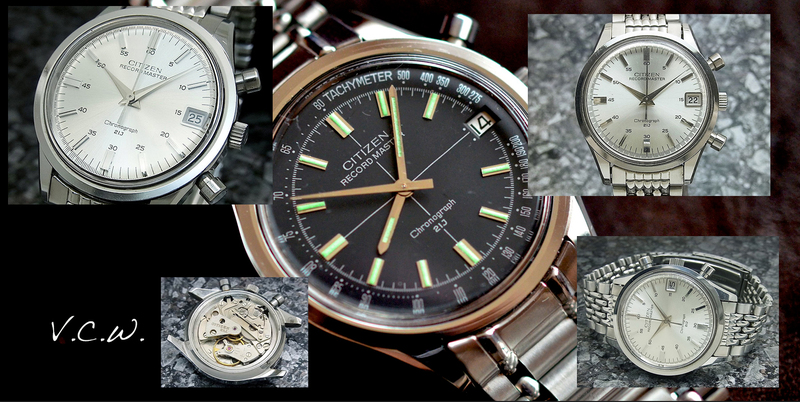 All of the Citizen chronograph movements are flyback and so is this one. The date is not quick set but changing by advancing the hour hand. 1 – Black dial, red chronograph hand. 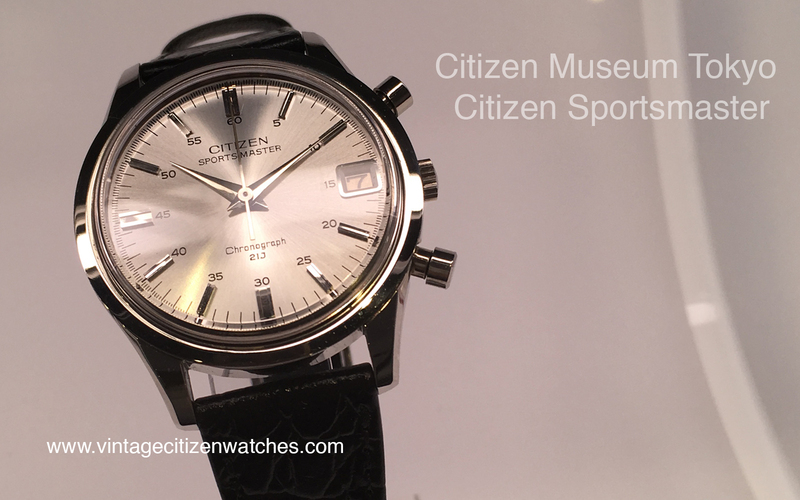 Update Nov 2017 – Citizen Museum in Tokyo has one on display that has the “Sportsmaster” dial print rather than the Recordmaster. Conclusion: Beautiful, timeless design. 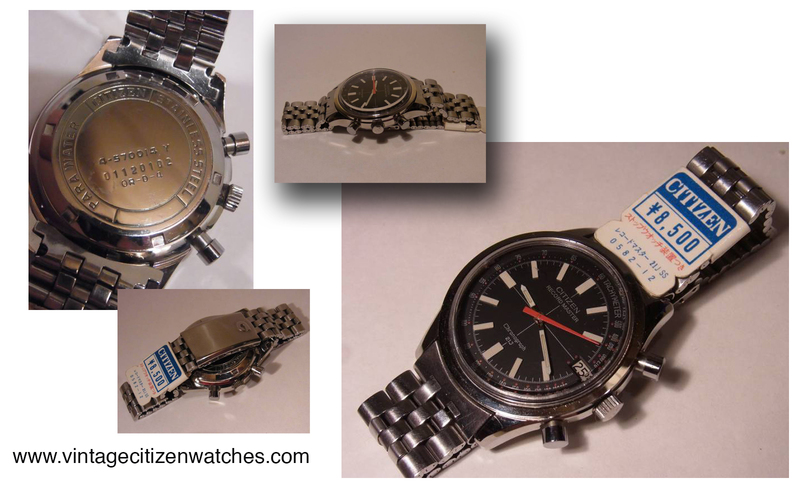 A rare piece that has its specific place in any Vintage Citizen Watch collection. This is the perfect combination of simplicity combining in perfect harmony elegance and sportiveness that (as far as I know so far) came in 4 dial variants plus the additional different RallyCustom one – read about it HERE.